So this week we finally had the King of Tokyo tournament. Three copies were brought in so we had three games on the go at once. Although the official rules have a one hour limit on game length we shortened that to half an hour. It's King of Tokyo after all, games usually last about 20 minutes. Everyone played a total of three qualifying rounds with the top players playing a final game to decide the overall winner. Again the official rules say there should be four qualifying rounds but there's only so much dice rolling you can do before it gets a bit repetitive. The official rules can be seen here if you're interested. Things were looking promising for me, coming first in my first two games. This meant people ganging up on me in my third game and I was the first to be taken out. This still gave me enough points to be in the final along with Demetri, Dan, Jonny and and Ellie. Dan and Demetri went into Tokyo and Tokyo Bay and launched a full on assault against the rest of us, eliminating us all in the same turn. Demetri got himself a card that allowed him to heal at any time using two energy cubes. This meant he could sit in Tokyo and rack up enough victory points to end the game before Dan was able to kill his monster. Well done to Demetri for being the king of King of Tokyo. And commiserations to Corey for getting the lowest overall score. But he did win himself a courgette, generously donated by Dan. 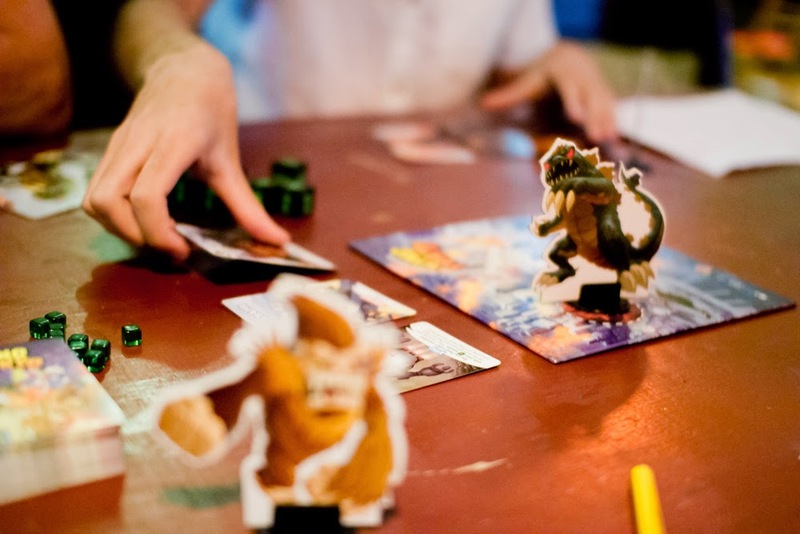 While the final was going on some people continued to play King of Tokyo. After getting knocked out of the final, Johnny joined in and won that game. Apparently not everyone gets bored of dice rolling. After the tournament was over Dan roped me into play testing his new prototype which he's calling Fabrika (I think). It's a hidden role game with a communist Russia kind of theme. While I played that, the others played Revolution!, a game that is probably about revolutions but really I have no idea. I've never played it. Back to normal for next week. No tournaments, just lot and lots of board games. 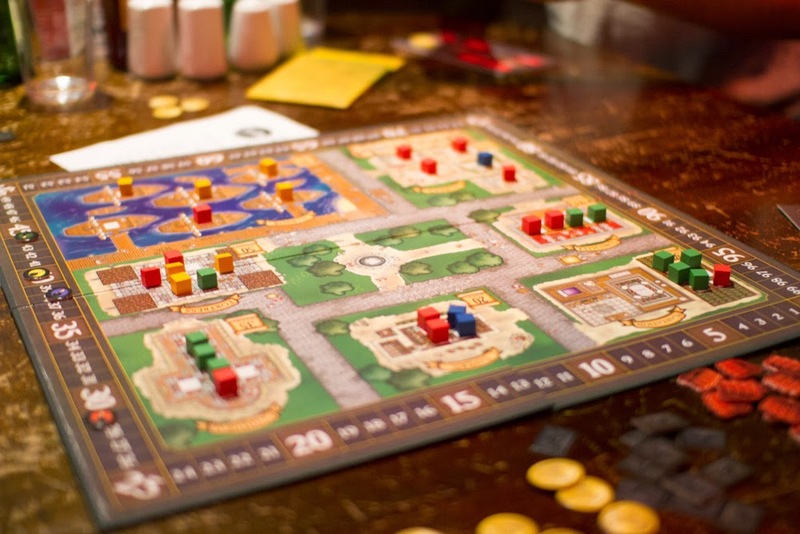 Fabrika - King of Tokyo - Revolution!